Do you wish your child would be as motivated in academics as they are in sports or extra-curricular activities? Christian Buck, human performance consultant and author of The Sport of School: How to Help Student-Athletes Improve Their Grades for High School, College, and Beyond has found the secret to channeling the lessons learned on the field into your child’s academics. Join Mighty Parenting hosts Judy Davis and Sandy Fowler as they discuss ways to not only improve student athlete’s academic performance but how to develop strategies for life success. Find out the different types of athletes and what you need to know to tap into that passion to help your child find the motivation and the confidence to succeed in the classroom and in life. Mindset impacts performance in school and on the field. Grades are more about effort than IQ. There are 5 types of student athletes. Knowing what works for them in sports allows you to tap into that to help them perform in the classroom. Workhorse: These kids show up and do the work. They resonate with coming in early and staying late, doing the work necessary to improve. Helping these students lay out a vision of what they want in their future fuels the student to put in the necessary work. Spectator: They tend to watch life go by, just letting it happen to them. These students also need a vision but they may need to experience things first hand. Taking them to as many college campuses as you can may help form that vision. Rookie: Typically, these students are younger. They want to do well but don’t really know what that means yet. Help them see what their grades mean, how grades can impact their future and help them get what they want. They need to understand the rules of the academic game. Natural Talent: These kids pick up any sport quickly. At practice they can simply play and enjoy it because they are competent without having to work hard. They are used to easy success so when they run into something that’s difficult, they have to learn how to work for it. Intellectual: These kids are already academically driven but it’s likely they are a perfectionist and we have to help them learn to deal with that. We need to connect tomorrow to today to help our kids create a vision that will fuel their desire to work. Our kids seem like they aren’t willing to put in the effort but they don’t know what effort to put in. We can help them break it down into small steps. When they put in effort once, leave them alone for a week, no matter the results. 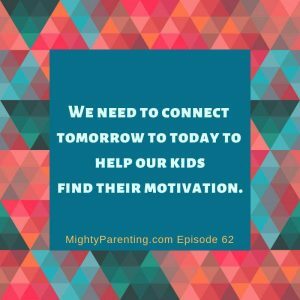 When parents see kids start to work, they have a tendency to push and not allow the child to feel good about the work they put it or to see the results. Paying for grades or giving cars for grades doesn’t work in the long term. It teaches kids to work for extrinsic motivation when what you really want is for them to find intrinsic motivation. Having a goal or a vision for their life and understanding how academics play into that can help them find that intrinsic motivation. Sometimes kids don’t try because they are terrified that they may try and still not be able to do it. We need to spot and reward effort. We want to encourage our kids to have a growth mindset, to believe they can always improve be open to learning more. 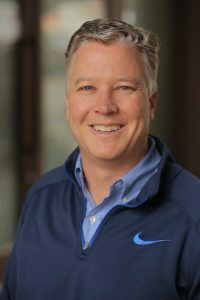 Christian Buck is the president and founder of Get It Done Consulting and the creator of “The Sport of School Academy.” As a mental conditioning consultant, Coach Buck works with sports programs and individuals to implement mental conditioning programs. His clients include Brown University’s 2016 men’s lacrosse NCAA Final Four team, Arizona State’s All-Star girl’s lacrosse team, and golfers from the PGA Canada Tour. Coach Buck’s academic coaching through his “Sport of School” program have taken student athletes on to elite schools like Notre Dame, Georgetown, Villanova, Dartmouth, Colgate, Michigan, UPenn and Tufts to name a few. He is the author of the upcoming title The Sport of School: Turning Effort on the Field into Straight A’s in the Classroom and Thinking Inside the Crease: The Mental Secrets to Becoming a Dominant Lacrosse Goalie. Coach Buck holds a Masters in Exercise and Sport Psychology and is an active member of the Association for Applied Sport Psychology (AASP).